What the Heck is Cranial Sacral Therapy??? Often clients who have had pain and disability and have not found traditional methods of medicine or physical therapy helpful have found themselves on my table amazed that so little can do so much. Migraine headaches that would not go away evaporate, pain in the back, neck or shoulders that keep people awake at night disappears. So what is this different technique call cranial sacral therapy which makes such a big difference? This is a question I would have asked 20 years ago. I was a traditionally trained physical therapist who believed you had to be stretched and strengthened in order to heal. This could often be a painful process and I watched my patients grimace and tough out treatments. I believed to be a “good therapist” it would be necessary to cause pain. I was introduced to cranial sacral therapy which is a very gentle, light touch therapy designed to reduce the physical, emotional and/or spiritual blocks that cause pain and dysfunction. Initially I could not believe that doing so little could yield such great results. Patients actually enjoyed treatment and managed to heal faster and more completely. Cranial sacral therapy was derived from cranial osteopathy which addressed the restrictions in the sutures of the skull to open up pathways through the body. In the 1970’s and 80’s Dr. John Upledger changed this approach and came up with his own approach to cranial osteopathy which is now studied and practiced throughout the world. Cranial sacral therapy supports healing at all levels of recovery. A therapist learns to listen with the hands, meld with the body and believe that there is innate wisdom in each person’s body that, when accessed, can direct the healing of the person from the mind, body and spirit. I now use some form of cranial sacral therapy with every client I treat. Cranial sacral therapy has been my cornerstone of treatment of physical injuries inclusive of headache, neck/ back/ joint pain, post traumatic stress, anxiety, autism, IBS and a host of other physical and psychological issues. There is not a method that is less invasive, gentler and more effective. Often old injuries sustained decades ago which someone has compensated around for years can be the cause of pain and disability. Finding and correcting the old injuries and their effects allows the body to become unbound by the old patterns of holding and allows for new and healthier patterns to emerge. Often a head injury that no one thought anything about as a child can be leading to pain and disability in later life. What Happens When You Are Last On The List??? 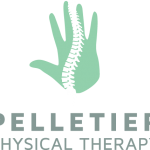 Welcome To Pelletier Physical Therapy! Thank you for helping me to learn what true healing is all about. I have deep and joyous healing through physical and emotional gifted touch. I am so grateful for the special people in this sanctuary of healing. Kim, Vera and Kevin all have amazing, unique talent. I look forward to my appointment every week so much. The good spirit and vibe throughout the office creates an exceptional experience. I would recommend any of the three of them. Thank you for your time and expertise! Thank you for sharing your gifts with the world. I have the upmost gratitude for your work and I am so glad that we were introduced. I love having the chance to see all the colors with your help. I don’t know what I would do without the three of the therapists at Pelletier PT. I tell all my friends to see you. You are the best of the best! Amazing healing, at Pelletier PT, is the best way to go!! If it wasn’t for insurance putting limits on the number of sessions, I’d be here at least 3 times a week. Oh well! I’ll take everything I can as this practice gives heavenly care to my poor ol’ body. Everyone enjoys coming here. It helps your body, mind and spirit!! I can’t begin to express my deep gratitude and appreciation for all you have done to help me heal. You have helped in ways no other PT has ever been able to. You will forever by my favorite practitioner. You are a true gift. I would recommend Pelletier PT in a heartbeat! They have healing powers like no other. They not only make you feel better medically, but they fill your being with goodness. I can’t say enough good things about cranio-sacral therapy. It has healed many parts of my body and put me back together again. I don’t know what I would do without this practice.